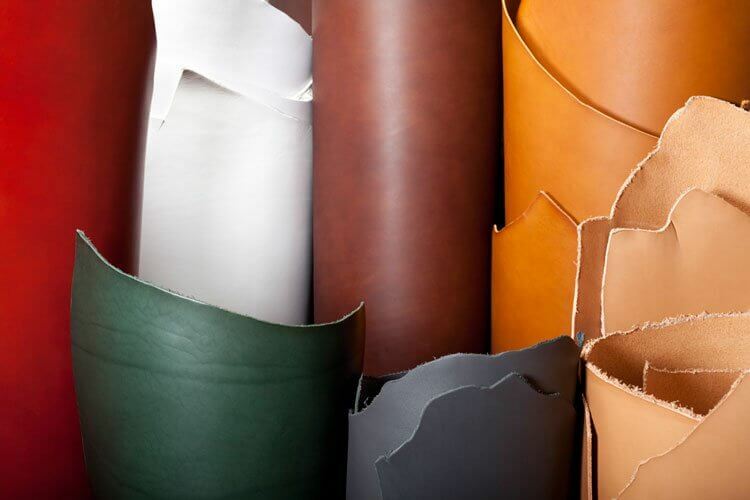 All of our leather portfolios are tanned to the highest possible standards and epitomise both luxury and quality. 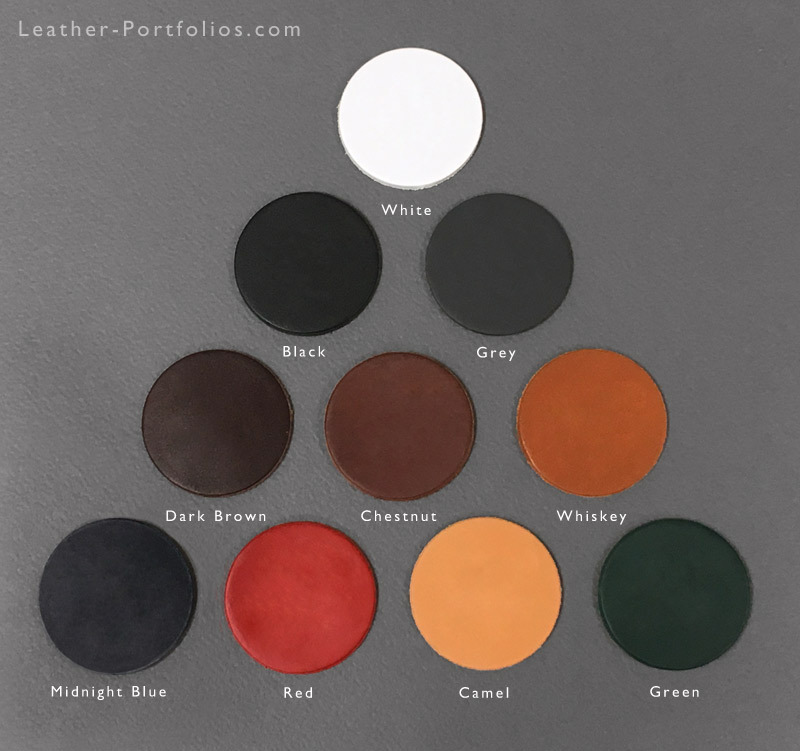 There are 10 standard tanned leather colours that we produce for individual and small orders. White – Very bold and very modern. A bright, crisp, matt white that oozes sophistication. Black – Black never goes out of fashion and goes with everything. This black is soft and neutral, like charcoal. Grey – A neutral mid-grey. Mixed with colourful inserts it can look fantastic. Camel – A soft, pale tan colour. Dark Brown – Our most popular colour. A classic rich dark reddish brown. Chestnut – A medium reddish brown. Whisky – A bold, fiery orange-brown. Red – A rich, golden red. Green – Traditional and classy. Think British racing green. NEW Midnight Blue – A very, very dark blue that’s both subtle and seductive. In some artificial lights it will look like a rich, deep black. In brighter, natural light the dark blue colour is more noticeable. 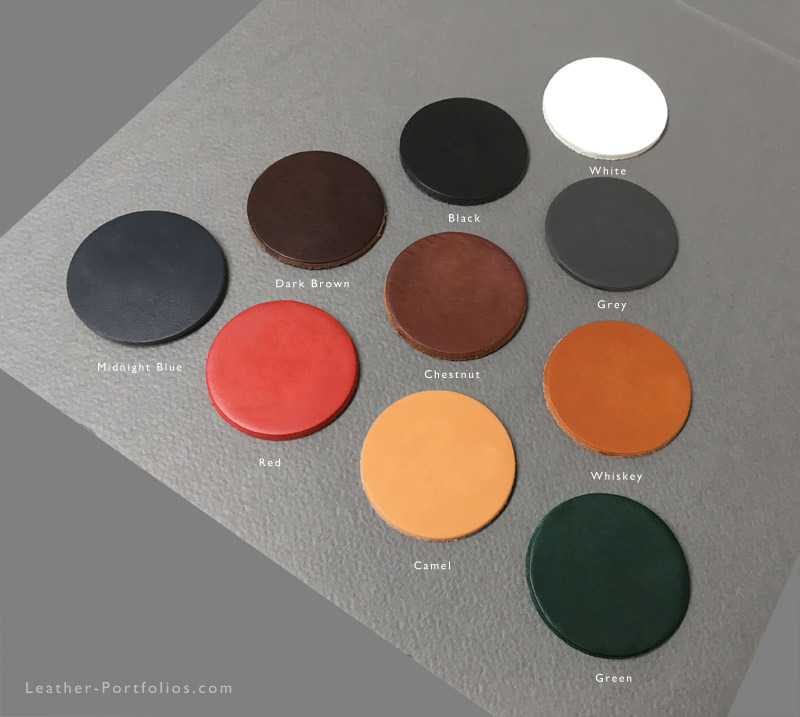 We are able to tan leather to almost any colour, however, bespoke colours are only possible when ordering six books or more. 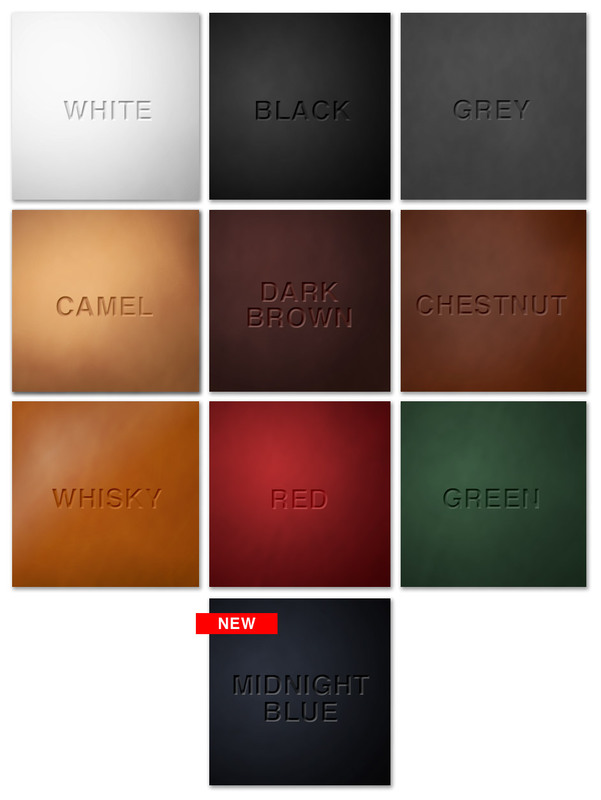 Feel free to request sample colour swatches here. Start building your perfect portfolio here.